I’ve been super in to skin care more so than ever! A perfect base requires minimal makeup and gives that really nice flawless finish. I’m all for a bright dewy glow to the skin hence investing heavy on skincare & my water intake. Now this post is long over due, the reason? I felt the need to use these products for as long as possible, to give the most honest opinion, so I do hope this helps. 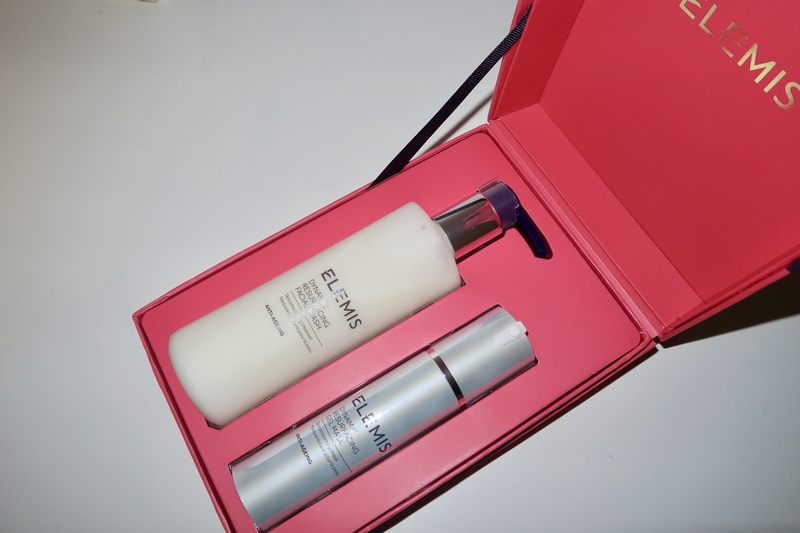 Back in late January, I purchased these two Elemis gift sets from Fabled on sale (fyi, you get 15% off with your first shop with the discount code: WELCOME15, so I got an even bigger discount than the sale price shown below.) *EDIT* They’re celebrating their 1 year birthday with £10 off a £50 spend with the code: BIRTHDAY10 (not sure if both vouchers can be used at once though, but feel free to split your orders in two consecutive days to benefit from them!). 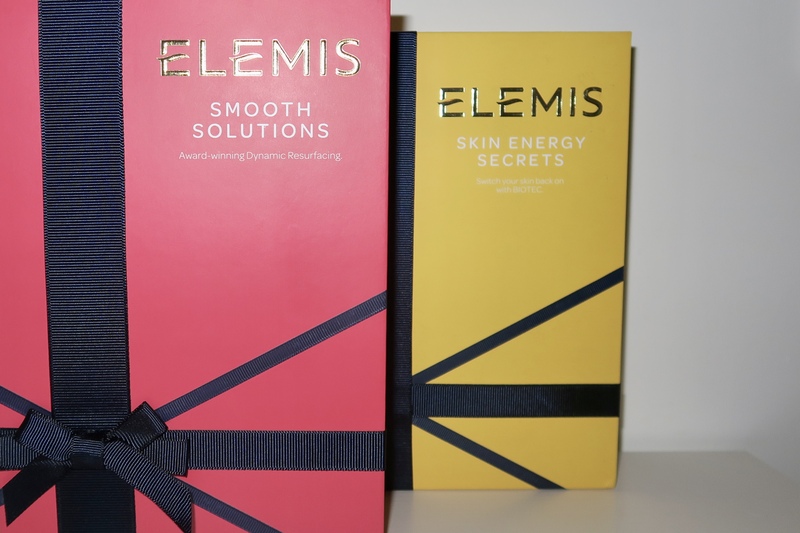 They no longer have these gift sets in stock as they were Xmas leftovers, however there are other Elemis gift sets available on the website HERE, a mixture of full size and travel size products included. The reason I purchased the following two items is because all the products catered to anti-ageing properties with active cell renewal ingredients, which is the first step to warding of saggy skin and ensuring your skin is constantly smoothed and buoyantly hydrated. I adore this mask, it’s a super quick gentle exfoliant and refreshing to use. I tend to leave it on for 10-15mins before an event or when I need a quick pick me up as it helps with the appearance of smooth skin – filling in tired lines and dull looking skin. I love the tingly cold sensation you get when applying this gel mask (similar feeling to using Caudalie’s beauty elixir, but doesn’t smell the same) due to the active ingredients. The fragrance on this is quite lovely and welcoming. This is a lovely welcome to my skincare regimen and a strong forerunner out of all the products mentioned today to be repurchased. Like the above product, this has a great tingly sensation and smells lovely, which I adore. I prefer to use this as part of my night time skin care regimen after I’ve taken my makeup off. I’ll use an Erborian Konjac Sponge as part of my double cleanse, and boy does it pick up any hidden dirt. It’s such a gentle exfoliator it can definitely be used daily. It claims to encourage the skins natural cell renewal cycle, which after a long term use I can vouch for as my forehead complexion appears so much cleaner, even and radiant. Overall, I love that it makes my skin feel super refreshed and plump at the end of the night – a great feeling before bed. 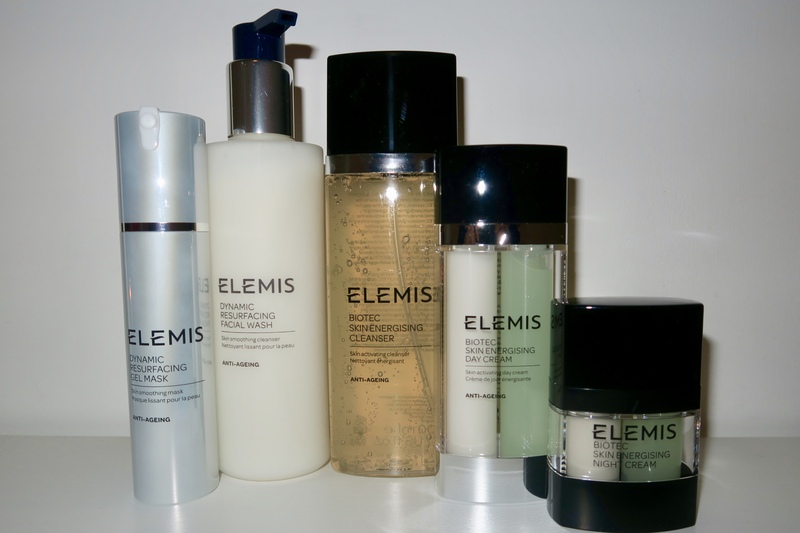 Again this smoothing range of products appear to be my favourite and strong contenders to be repurchased or at least give their other products in this range a go. My most used cleanser at the moment is the one above, so I haven’t used this as much as I would’ve liked too. I’ve used it a couple of times just to feel a gist of it and it is again a lovely product, that lathers up a lot more in comparison to the one above and I can see why it’s a staple in a lot of people’s skincare cabinet as it brightens up dull skin, leaving it feeling refreshed! Again it’s great as part of a double cleanse system – and is stated to be “charged with a trio of acids in an energising electrolyte solution, the deep cleansing action helps reduce surface oils and impurities, whilst helping to rebalance the skin.” Now I don’t have oily skin, more normal-to-dry skin however my skin feels noticeably cleaner when I use this product with a konjac sponge. Out of the two facial cleansers I am leaning much more towards the resurfacing one above as I adore the tingle, plumping sensation – but this is a good second runner up for sure. I have dry skin and this product did a great job in making my skin feel plump and bright, which creates the illusion of young, fresh skin which is great considering they use natural ingredients (& acids). The only downside is that if you have a problem dry problem area, it won’t help. During the winter months and change in seasons my skin can get dry patches and unfortunately this product didn’t help that, however aside from that the overall appearance of the skin was plumper, smoother and brighter. It leaves the skin super soft and not slick, so makes it a great base before applying make-up. I think we may need to thank the “electrolytes, anti-oxidants and water plantain peptides” which are known for their hydrating and nourishing properties which are all packed inside. The only reason I will NOT be repurchasing this product at the moment is because it doesn’t tick all the boxes for me, I did occasionally have trouble with the pump also as the distribution of both products wasn’t even – I found that I needed two pumps per use, which isn’t economically friendly for me at the moment as they currently retail £75.00 online on Fabled (hence why it’s always worth getting the gift box sets!). Until both these elements are ‘resolved‘ (I used this term lightly) I will continue my search for a dupe *sigh of sadness*. Like the above day moisturiser, this night cream was light on the skin and added a youthful plump look to the skin, which was noticeable in the mornings. Again, I used two pumps at the end of my night time skincare regimen (also had pump issues, please change the pumps Elemis). As this was a sample size (half the product received) I obviously finished it way more quicker than the other products and was able to notice the follow things whilst using it: hydrated skin, a protective thick barrier was on the skin which my skin drank up quiiiiick – leaving my skin to feel super bouncy in the morning. 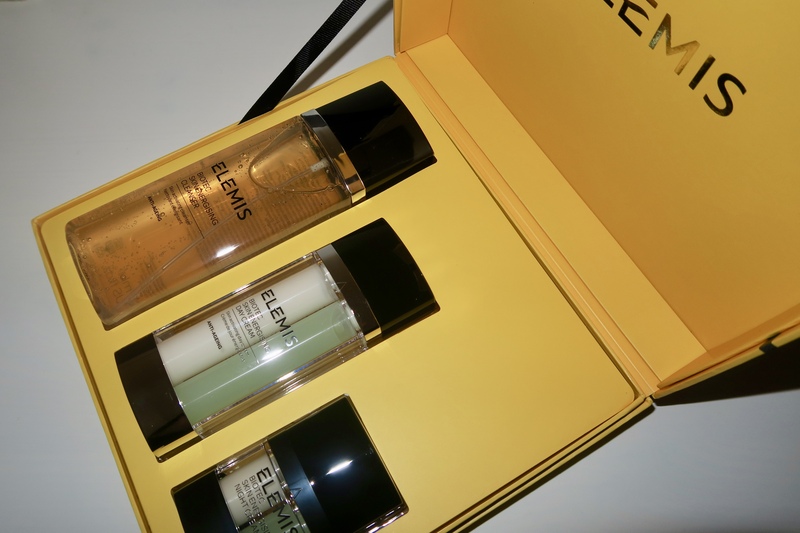 FINAL THOUGHTS: Having tried the Elemis range I am a huge converter for sure. Initially I thought it was a brand that was too expensive and out of my reach for every-day use but in terms of the cleansing products honestly a little goes a long way and your money is definitely stretched to the fullest. Out of all the products I much prefer the masks and facial washes as opposed to their moisturisers. I think I’ll go back to the Caudalie vinosource moisturising sorbet for that – as that product is lovely, light, effortless and create a facetune feel/ illusion, haha. Ultimately, I know everything I’ve said about this moisturiser is great, however I just cannot justify the price of the moisturisers to be constantly repurchasing them. I feel as though there are cheaper alternatives out there. I’m not skimpy when it comes to using skincare products – I like to lather and cake my skin in moisturiser. So I know i’ll be racing through my wallet with these products and frankly I’m not ready for that commitment 😦 On a side note I do feel as though Elemis need to rework their packaging for these moisturisers as the double pump system just ain’t working evenly for me.